Hey guys! 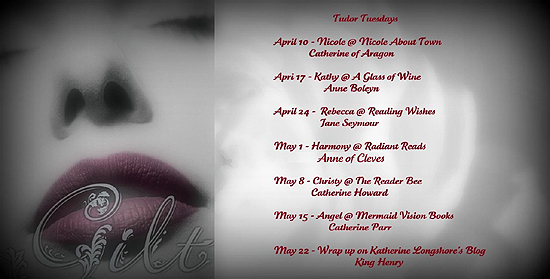 Kathy at A Glass of Wine is hosting a fantastic event called Tudor Tuesday for the upcoming release of Gilt by Katherine Longshore. For the tour we are discussing all the wives of Henry VIII. Don't forget to grab the highlighted word for the scavenger hunt! 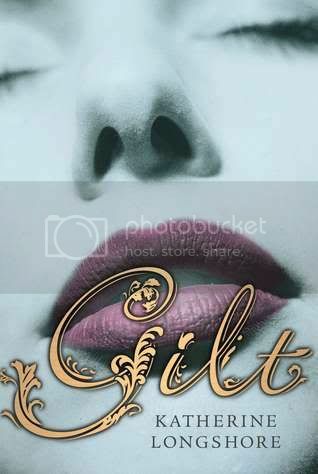 You could win one of three finished copies of GILT! 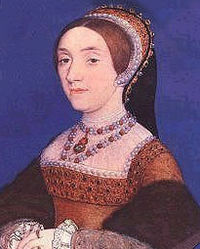 This week I will be sharing with you a short summary on Catherine Howard, who was King Henry's fifth wife. Catherine was a lady-in-waiting in King Henry’s household. Three short weeks after the annulment from Anne of Cleves, Henry and Catherine were married. Catherine never produced a heir for Henry, and she was beheaded after two years of marriage for committing treason and adultery while married to Henry. Now I have a Teaser to share with you from the Katherine Longshore's upcoming book; Gilt! “Your eyes,” Edmund said, and tucked a strand of hair back into my hood. “They say more than your words.” His finger traced the line of my jaw to my lower lip and tugged lightly. “Oh? What are they telling you?” But I knew. I just wasn’t sure I agreed with them entirely. He drew his finger beneath my chin, forcing me to look at him, and put his mouth on mine. I had expected the kiss to be like William’s, soft and bright, like a smile made for two. But Edmund’s kiss tasted of smoke and felt like a mad rush, like shooting the waters of the Thames beneath London Bridge. Thrilling and dangerous. In the ____ of King ____ VIII, who you ____ can get you in, but ___ you ____ can get you ______. ooh this sounds good and i love the Tudor period! Thanks for sharing that delightful excerpt. this sounds so good!! i'm unsure about the cover, though, it doesn't look very ya! I love this time period- I had been fascinated by Henry VIII and his wives for awhile now. I always felt bad for Catherine Howard! I have Gilt on my TBR shelf- I will have to read it next! Thanks for sharing this with us! This sounds awesome! After watching The Tudors I'd love a YA perspective. My favorite is Anne Boleyn - she was smart, powerful and changed history. Did you ever watch the series, the Tudors? BBC America is airing it (though they're leaving out sooo much good stuff. Darned that FCC!) and it's absolutely fascinating. This time period is very cool, though there's no way I'd want to live during that time. Not even as a noble!